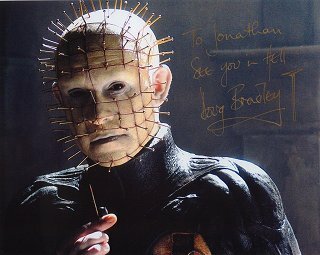 As you can see, I'm a huge fan of the HELLRAISER film franchise. 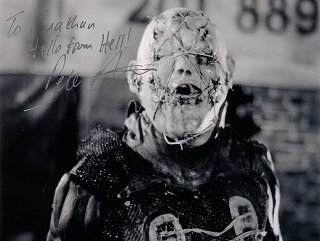 I think HELLBOUND: HELLRAISER II is easily my favorite, followed by HELLRAISER: DEADER. 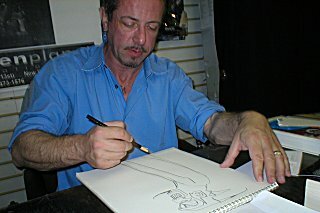 Clive Barker, one of my heroes. 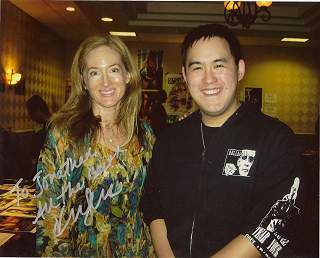 Writer of such novels as "Imajica," "The Great and Secret Show" and the Abarat series. 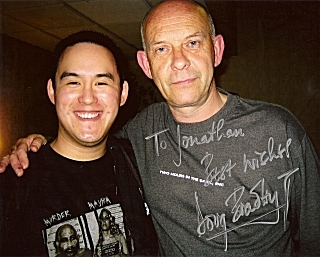 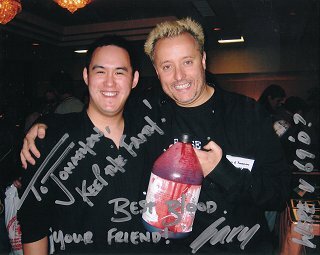 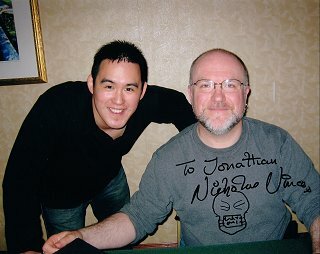 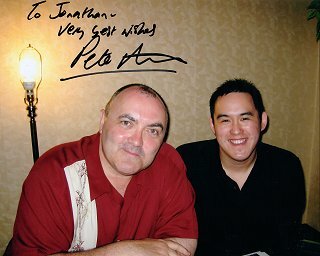 Director of HELLRAISER, CANDYMAN, NIGHTBREED and LORD OF ILLUSIONS. 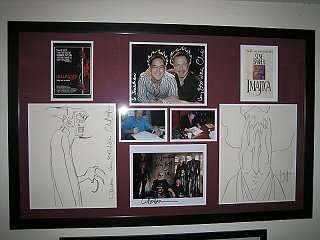 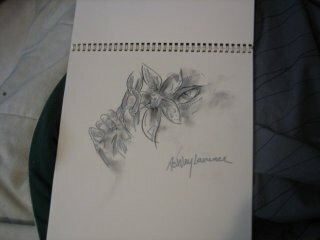 Artist extraordinaire, collected in "Visions of Heaven and Hell." 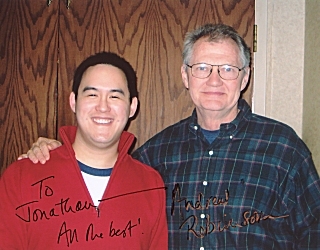 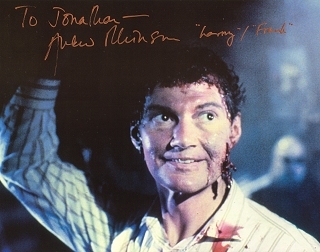 Andrew Robinson, who later go on to play the enigmatic Garak on Star Trek: Deep Space Nine, played the cuckolded husband Larry (as well as Frank in Larry's skin) in HELLRAISER. 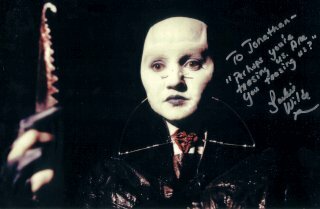 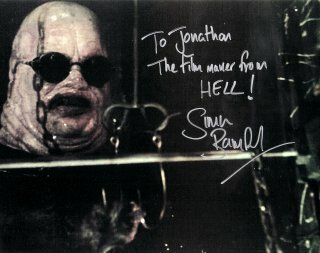 Simon Bamford, Butterball Cenobite from HELLRAISER and HELLBOUND: HELLRAISER II. 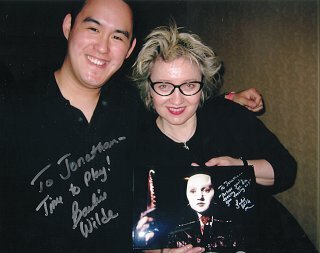 Barbie Wilde, the Female Cenobite from HELLBOUND: HELLRAISER II. 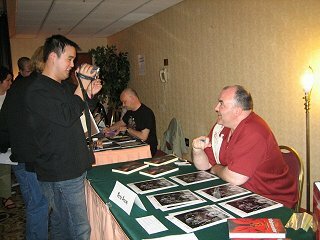 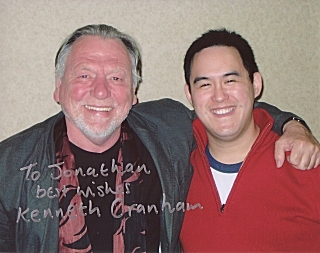 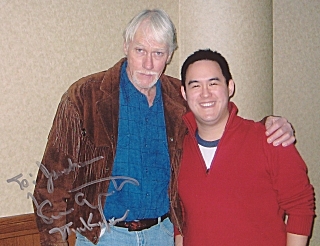 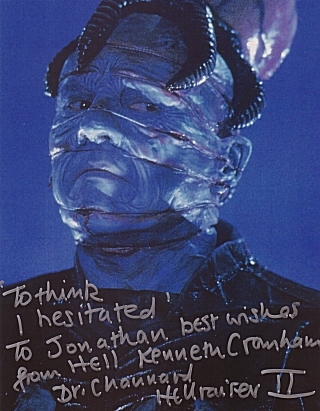 Ken Carpenter played Doc, in HELLRAISER III. 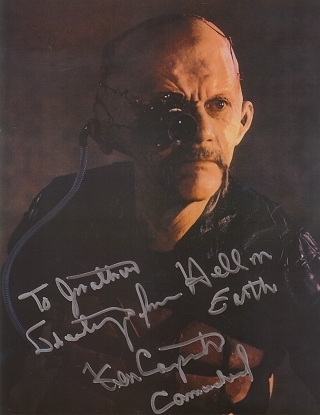 Doc becomes the latest victim of the Boiler Room and is reassembled into Camerahead. 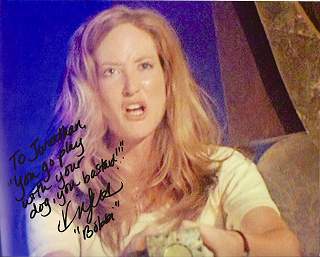 Kim Myers, a dead ringer for Meryl Streep earlier in her career, played Bobbi Merchant in HELLRAISER: BLOODLINE. 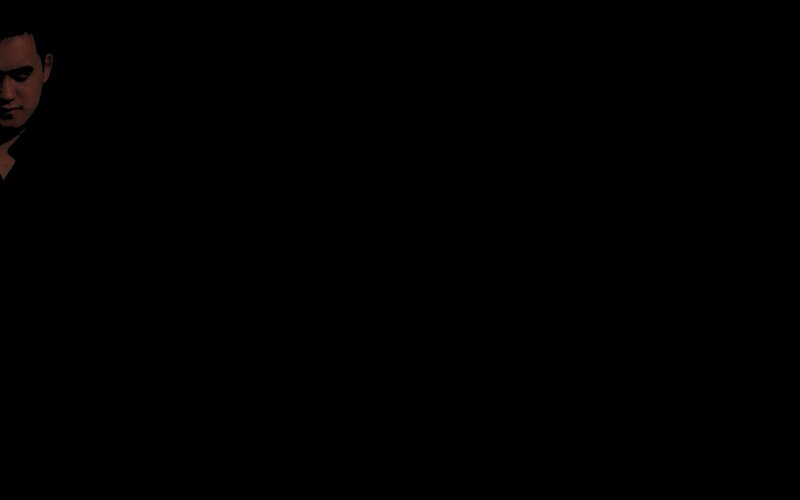 The famous Kari Wuhrer, who played the rambunctious "Amy Klein" in HELLRAISER: DEADER and "Allison" in THE PROPHECY: UPRISING and THE PROPHECY: FORSAKEN. 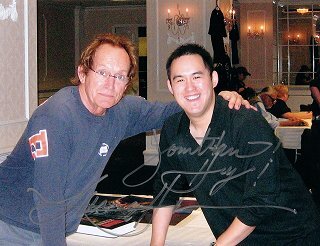 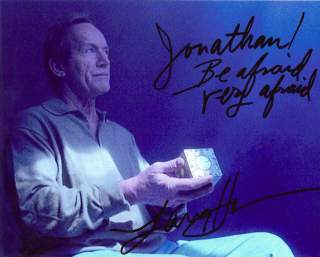 Lance Henriksen, better known as "Bishop," from the Alien films, also starred as "The Host" in HELLRAISER: HELLWORLD.